Great for all ages! 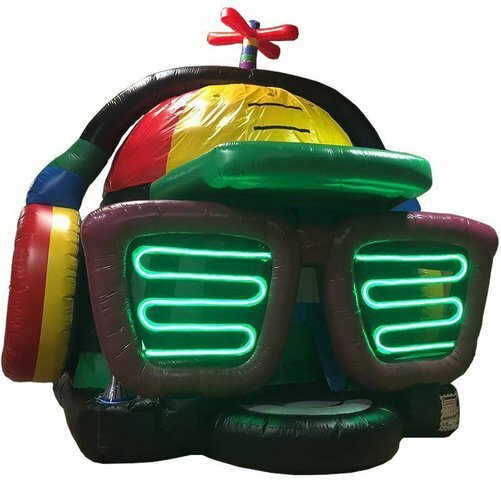 Kids, Teens and Adults can have an an amazing time dancing, bouncing and enjoying the party inside the DJ BOUNCE. It keeps the light out, while also offering adequate ventilation and air flow throughout the bouncing area and walls. Includes LED lighting feature and awesome speakers. You provide the music with an mp3 player, iphone or any portable music device.